NEW! Bahco P11 Grafting Knife - Bark Cutting - 180mm Length. Bahco grafting knife - high-quality grafting knife for razor-sharp cutting of the graft and bark. Easy graft insertion with the rounded edge spatula. 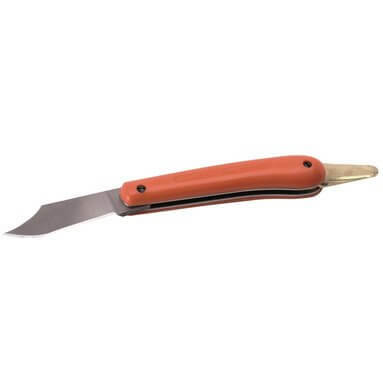 Extremely sharp folding blade for cutting of the graft – folds away with ease. Comfortable grip thanks to plastic covering.